We offer a wide variety of paving styles including block paving, flagstones and sandstone for everything from small seating areas to large low maintenance gardens. We are happy to tailor our service to your specific requirements. This often thought to be the cheapest way to refurbish a driveway or forecourt and is available in both red and black. Our team are highly experienced in this field and will provide you with a top quality service. Having an extension is a far more cost effective way of increasing the space in your home. 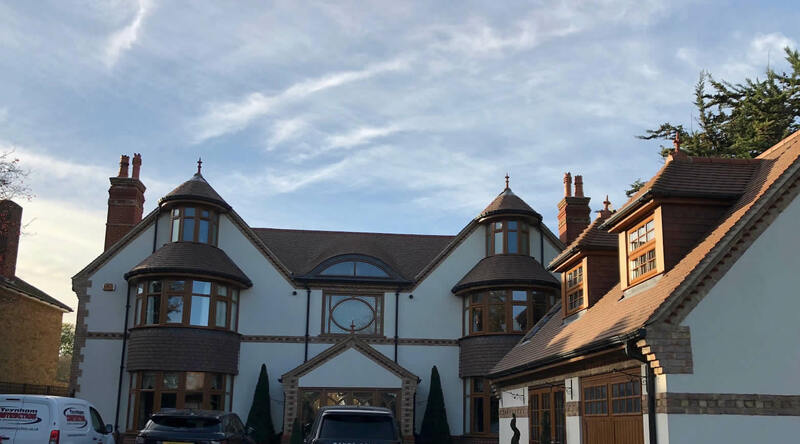 Our team of expert builders can take care of the entire extension and have all the necessary certifications and experience to deliver the highest standard of work. We undertake all types of ground works including soil removal, site clearance and laying foundations. At Teynham Construction we are happy to consider any project. We have an outstanding reputation for our quality brickwork and we offer many services including small garden walls, conservatories, extensions and garages. We are able to resurface private roads for residents who would like to maintain an acceptable standard to their road and we offer this service on an ongoing basis. Unadopted roads are unmade roads which do not reach the minimum adoptable standards set by the local authority. We at Teynham Construction are able to refurbish these roads to an acceptable standard. A drop kerb is where the kerb has been changed to angle downwards towards the road to allow easy access to vehicles. We are able to provide this service allowing side access etc. to your property.